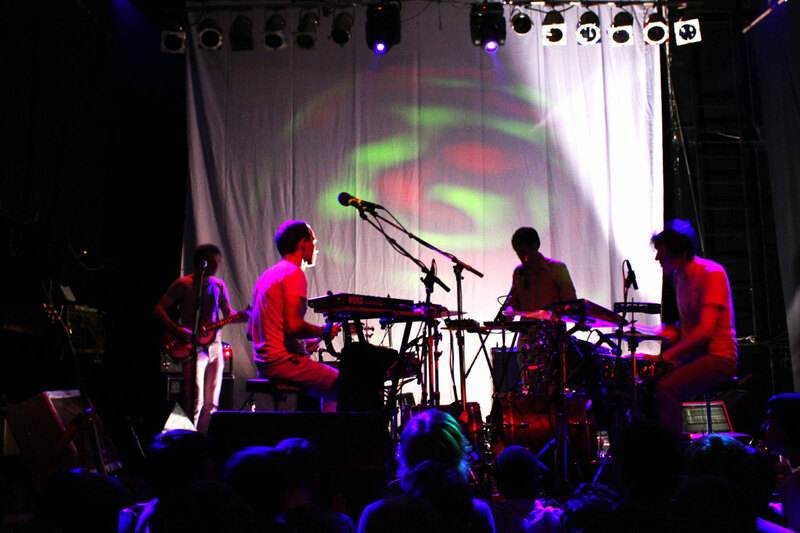 On this weekday the sold-out Phoenix Concert Theater was brimming with anticipation for Caribou, whose newest album Swim was met with critical acclaim. The warmup group were made up of three youngish looking individuals. The live sampling was impressive in its own right, but what really detracted from the experience was the hazy echo that left all the vocals as inarticulate that personally left me confused. Apparently, this was the first time the band played together (stated at the beginning of the performance)- An admirable feat since there really weren’t any hints nor suggestions of this being the case. The synth used was overly aggressive being illustrative and typical of early 80’s synth fused pop-rock. Nevertheless, the band played with such an impassioned and energetic tone that the crowd was left with an undoubtedly entertaining experience. At the moment Caribou consists of Daniel Victor Snaith Ryan Smith, Brad Weber, and John Schmersal. From the very beginning of the set I couldn’t help but notice the immensity and intricacy of the overall sound produced by the band. The frontman Snaith played both the keyboard and drums, but it was the accentuated playfulness of his vocals that the crowd vigorously approved of. 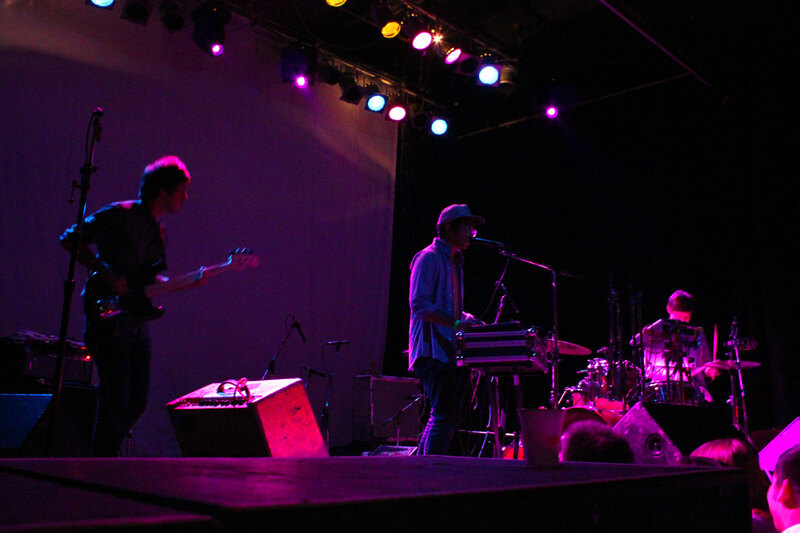 The assured background vocals by Smith and Weber were more than adequate, that together with Snaith created a mish-mash between Coldplay and the Beatles, only faster paced and more electronic. I readily grant that the real gem of this show was the drummer, Schmersal, who carried an expression of rare and inexplicable personal energy throughout the show. To me he was the backbone who both carried the line and pushed the others to a more frentic and impressive pace. (I refuse to believe that the show would be as spectacular without him). His playing together with the medley of vocals, bass, and guitar solidified this show as superior to any regular concert. Instead, it was an all around unforgettable auditory experience.